Through all time across the earth, people have honored the growth of children as they pass from one time in life to another. In our community at the Westside Unitarian Universalist Congregation we stand strongly beside our children and youth by honoring these passages together. Each child that grows up in our community will know that they are cherished by the whole congregation. When a child joins a family through adoption or birth, we honor this time with a Child Blessing. These blessings sometimes occur as a private ceremony, with extended family and close friends. 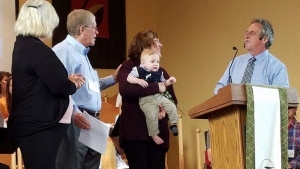 Most often they occur as part of a Sunday morning service, involving the whole congregation in welcoming the child, honoring their unique given name, listening to what the parents pledge to the child, and promising our commitment as a congregation to the spiritual growth of the child and the support of the parents. Our Minister offers a perspective on the wonder and promise of each new child, followed by a formal ritual using a touch of water (symbol of the ancient rite of consecration) and the gift of a rose (symbol of the beauty of an unfolding new life). The ceremony also includes a prayer, and a congregational response. As children grow, they enter what can be called the Age of Reason—this marks a shift in perspective and cognitive abilities. At age seven, children in our congregation are invited to light our Chalice for the first time. 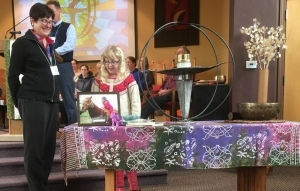 The lighting of our Chalice is a ritual opening of our Sunday service; on a Sunday when a child has turned seven years old, it is an even more special and reverential time, honoring the child. In preparation, the child and parents talk with our Director of Religious Education to write a brief introduction of the child, which is read to the congregation as the child signs a special Chalice Lighters Book. The inclusion of their name in this book signifies that they are “of age” to light the chalice. Then our worship leader reads a poem or opening reading while the child lights the chalice. Our teens participate in a Coming of Age program, which honors and guides them in the spiritual transition from childhood into becoming a youth. Many experiences and workshops are planned to help the youth reflect on their lives, their values and beliefs, and their goals. During the program from the congregation. They choose and participate in a service project, they attend a communications skills workshop, and they go out with their mentors to an unforgettable high ropes trust building course. During this time they work on a credo-writing down the deepest things that are important to them-- this guides them through adolescence and into adulthood. The program culminates in a vision quest like weekend with time spent alone in the woods to finalize the credo. The youth come back home and are welcomed into their families honoring their new self with more responsibilities and privileges. 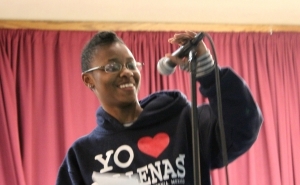 As a community, this program culminates in a service that the youth present for the congregation-where they share their talents and their beliefs.